There’s also lots of good resources on the International Association of Facilitators website, of which I’m a member and a Certified Professional Facilitator. I also created a series of one-page articles on my Resources page you’re welcome to download. 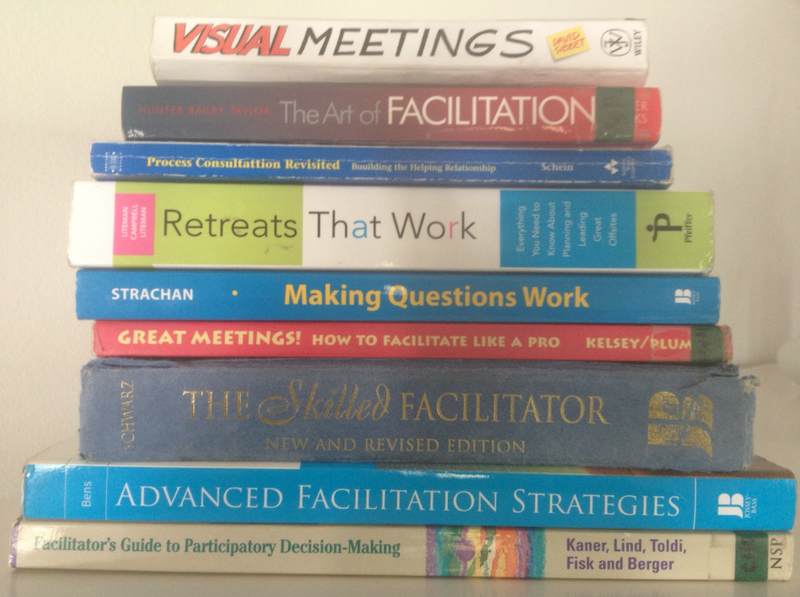 I welcome any other suggestions you have for books you found valuable on the topic of facilitation. Enjoy your reading and good luck as you put your ideas into practice. After you do so, find time to reflect on what worked and what didn’t so you can refine your approach next time. This entry was posted in Facilitation and tagged #Nonprofit, boards, Facilitation, Leadership, Retreats, Team Building. Bookmark the permalink.